Recent ITF title runs have propelled rising stars Destanee Aiava and Marc Polmans into the world’s top 200 for the first time this week. 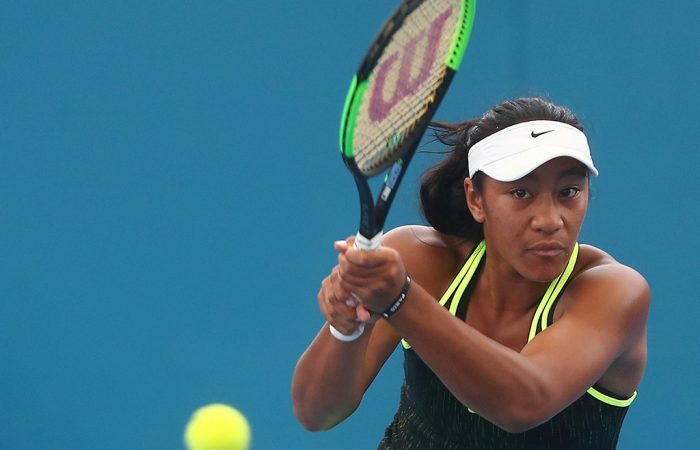 Aiava is at a new career-high ranking of No.193 in the latest WTA Tour rankings, moving up 17 places after winning her second Australian Pro Tour title in Mornington. The 16-year-old started the season at No.384. Sam Stosur remains the top-ranked Australian, moving up two spots to No.17 after reaching the Miami Open fourth round. Daria Gavrilova dropped one spot to No.27, while Ash Barty moved up four spots after reaching the second round in Miami to set a new career-high of No.87. Lizette Cabrera has also set a new career-best, with the 19-year-old junping seven spots to No.177. Ajla Tomljanovic, contesting just her third tournament in a comeback from shoulder surgery, improved her ranking by 240 spots to No.354 after making the third round in Miami. The 19-year-old Polmans improved his ranking by 26 spots to a new career-high of No.194 after scooping consecutive Australian Pro Tour titles in Canberra. Strong performances in Canberra also boosted the rankings of Blake Mott, up 24 places to No.254, and Max Purcell, up 34 places to No.311. Nick Kyrgios remains at No.16 after reaching a second consecutive Miami Open semifinal, with Bernard Tomic at No.43 and Jordan Thompson at No.79 rounding out the Aussies in the top 100. In doubles, reigning Australian Open champion John Peers set a new career-high ranking of No.2.